The planets Venus and Jupiter aligned during a rare celestial event on Tuesday night for the first time in about 2000 years, actually since the birth of Jesus Christ, which was a rare and magnificent sight to see. The occurrence has been hailed as the “Star of Bethlehem,” the bright star that shone above the Savior’s birthplace in Bethlehem, as detailed in the Holy Bible (Matthew 2:1-2). The alignment of Jupiter and Venus created the appearance of a huge single star, which shone very brightly above the northern hemisphere on Tuesday. NASA confirmed that this alignment has not occurred since about 3-2 BC, the time of Jesus’s birth! 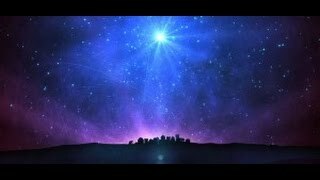 I believe this is the same alignment that occurred when our Savior Jesus Christ was born in Bethlehem, which was foretold by the prophet (Micah 5:2), alluring wise men from the East to the exact place of the Savior’s birth, who also went to Bethlehem, Israel, to worship Him (Matthew 2:1-2). “There shall be signs in the sun, in the moon and in the stars, and upon the earth distress of nations with perplexity; the sea and the waves roaring” Luke 21:25. Between 2014 and 2015, lunar eclipses (blood moon tetrad) occurred exactly on Israel’s feast days, and there were also solar eclipses amidst the lineup. We only need to read daily headlines to know that the nations are in distress and the populations of the world are perplexed. In recent years, we have also seen the catastrophic tsunamis in Indonesia and Japan, and we have seen great storms, such as Katrina, Sandy and Haiyana. How fitting that the rare celestial alignment that occurred at Jesus’s birth would also hail His imminent return. When God made the stars, He said, “…let there be lights in the firmament of the heaven to divide the day from the night, and let them be for signs…” Genesis 1:14. All of the above fulfill exactly the events Jesus said would occur in the last days, before His return. This is also the year of the Shemitah (sabbath year, occurring only once every seven years), as well as the Jubilee year (which occurs only once every 49 years)! Prophetically, there couldn’t be more celestial phenomenon and signs of the Lord’s return occurring at one time than we are seeing between last year and this year, during the Shemitah, Jubilee, solar and lunar eclipses happening exactly on Israel’s feast days, and the Star of Bethlehem! These events all coming together simultaneously is so extremely rare and exceptional that we need to understand that something tremendous prophetically is most assuredly going to happen. According to Bible prophecy, the next major event that will happen involving Israel will be the “Gog Magog” war, described by the Prophet Ezekiel in chapters 38 and 39. We already know this war is inevitable because of Iran’s nuclear program. Israel is “backed against a wall,” in that Iran (ancient Persia) has vowed for many years to “wipe Israel off the face of the map,” and if Iran doesn’t strike Israel first, Israel will be forced to make a preemptive strike against Iran; which would then bring Russia, Iran and parts of North Africa (ancient Ethiopia) against Israel, as Ezekiel foretold. Ezekiel described Russia (ancient Meshech and Tubal), Persia (modern Iran), and Ethiopia with them, marching against Israel. Vladimir Putin has formed an alliance with Iran and said, “A strike against Tehran is a strike against Moscow.” Ezekiel also prophesied that Meshech and Tubal (Russia) will only be left with one-sixth of their military – wiped out by God! We also know through the prophetic scriptures that the Lord will “catch up” His people about this time (1 Thessalonians 4:16-18), sparing us from the ensuing seven-year tribulation which will come upon the whole earth (Luke 21:34-36). If you are reading this article now, but you aren’t saved, if you haven’t asked the Lord to forgive you of your sins and you haven’t received Him as your Lord and Savior, there is little time to waste.